Fehlings and Bohons and Harpers, oh my! We’re coming to you live with a two-pack, gang! 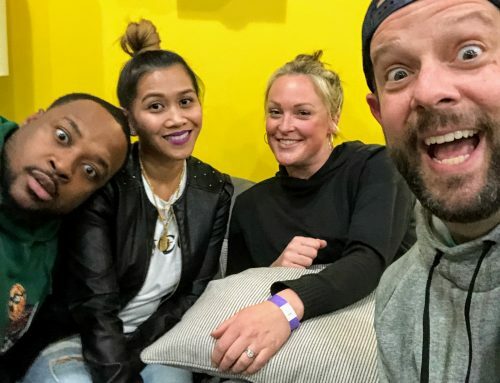 We’ve got episodes 21 and 22, featuring SkillPop founder Haley Bohon and her husband Steve, and Page’s co-anchor Jason Harper and his wife Angie, respectively. We realized we had started to collect a few episodes in the can, so we thought we’d release a couple together. First up are Haley and Steve Bohon. Haley founded Charlotte start-up darling SkillPop in 2015 and Steve joined her shortly thereafter. SkillPop’s claim to fame is that they are revolutionizing in-person education, and as public speaking teachers, Page and Jake can attest to it’s rocket ship growth. 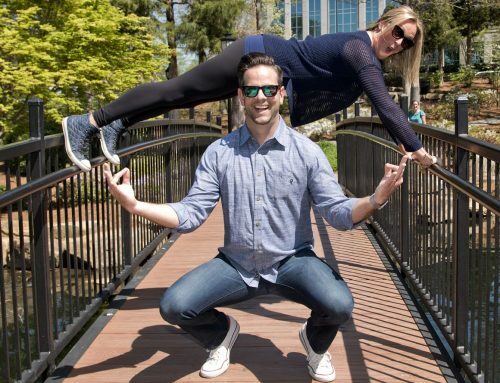 SkillPop has expanded to Raleigh, Greenville, S.C. and Nashville, and Steve and Haley have other major business development ideas brewing as well, especially after their recent appearance at Techstars in Austin. The future is SUPER bright for these two, and Charlotte is lucky to have them. You’ll recognize Jason Harper from his weekday appearances…right next to Page. 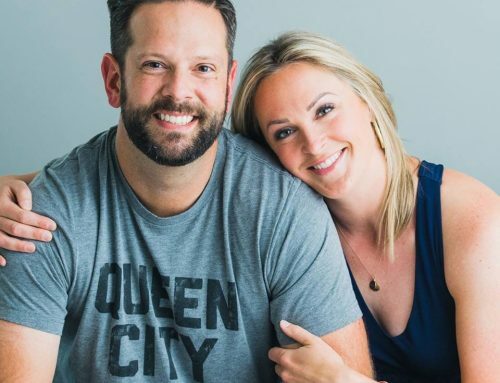 Jason is Page’s co-anchor on FOX 46’s Good Day Charlotte, and together with his wife Angie, the two make for a hilarious duo. Jason and Angie team together to raise a blended family of four daughters, which is not lacking in funny stories. What makes their backstory that much more interesting, is that they’re high school sweethearts…sort of. After knowing each other growing up, the two went their separate ways and eventually reunited after each having a first marriage. And now together they enjoy hitting up Charlotte’s breweries and every Old Navy in the 704. 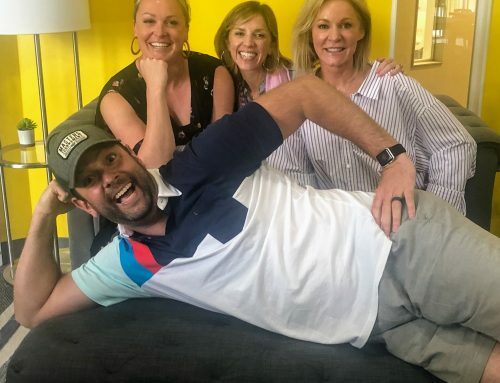 We can’t thank Haley, Steve, Jason and Angie enough for joining us on this episode, and as always, big thanks to Garrett Tichy, Hygge and Richard Brooke for having us as a member of their inaugural Hygge Podcast Residency! Please subscribe, share and comment on this episode. Past shows can be found on jakeandpage.com, iTunes and wherever you get your podcasts. We live stream most episodes on Facebook (Page Crawford Fox 46) and videos are posted to youtube.com/jakefehling. p.s. Sorry once again for the brutal audio in Episode 21. If you remember, due to technical difficulties we lost that and the preceding episode’s recordings, but fortunately we were able to pull what you’re listening to from the Facebook live stream. Big ups once again to Richard for trying to salvage our memory card. RIP, good audio.